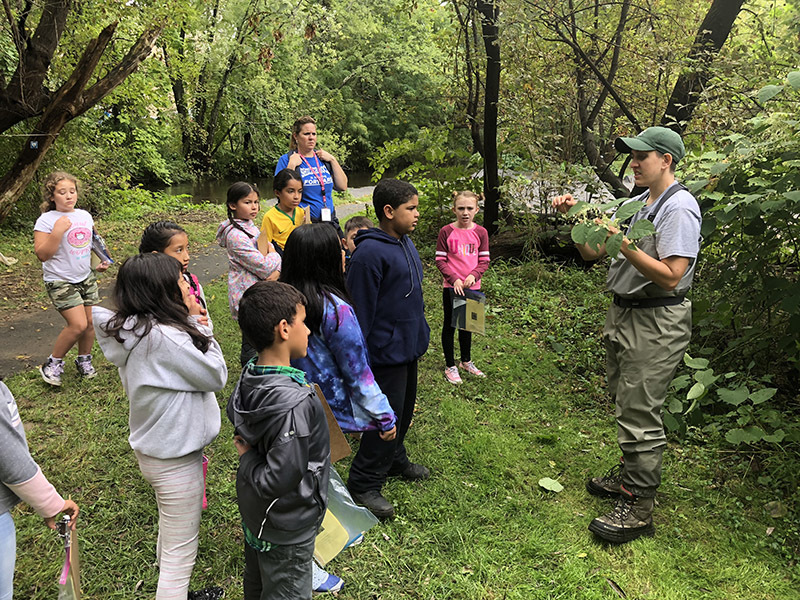 DANBURY, Conn.. – September 26, 2017 – Third graders from Danbury’s Shelter Rock Elementary came by the busload on a warm and cloudy fall day to gather at the Still River Greenway, where they were greeted by teams of scientists and experts in their local rivers and wildlife. 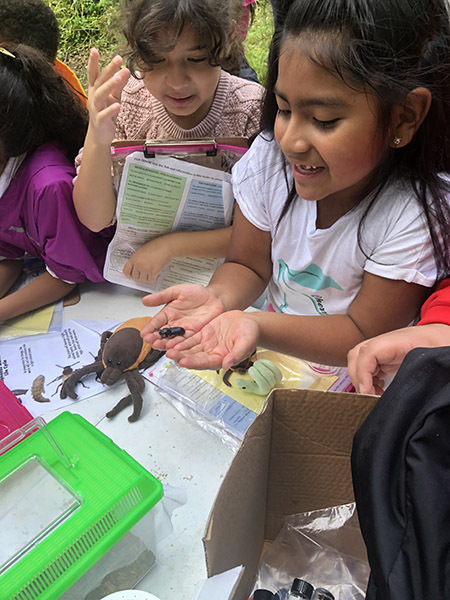 The annual Still River Day event connects elementary students with environmental professionals who are working to restore the watershed. 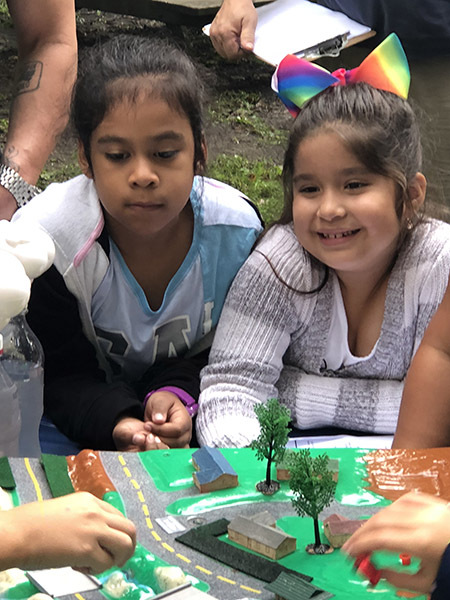 It gives kids a chance to explore a local river that many never even knew existed. 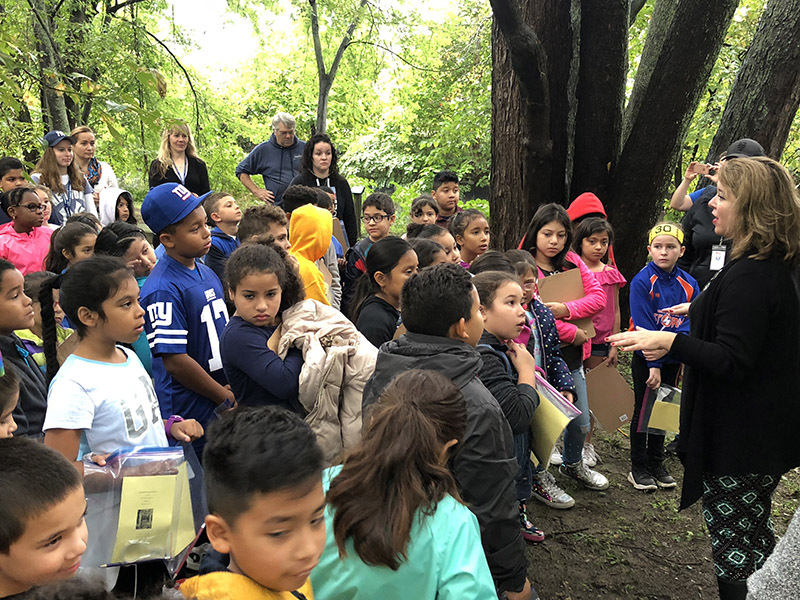 Ed Siergiej, chairman of the Still River Alliance, has seen the annual event grow in size and scope over the years. 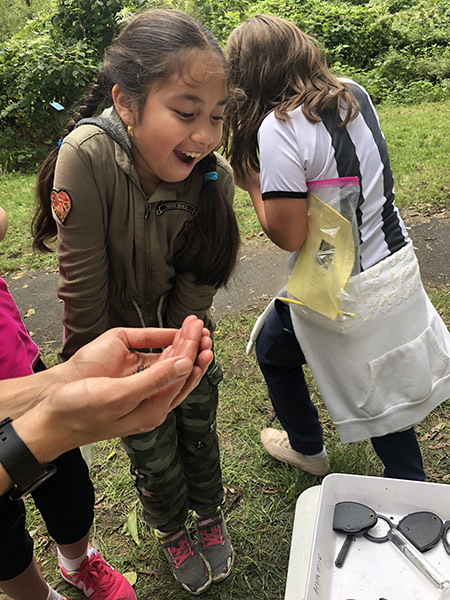 “Thirty years ago, people wouldn’t have believed fish could live in this river,” said Siergiej. 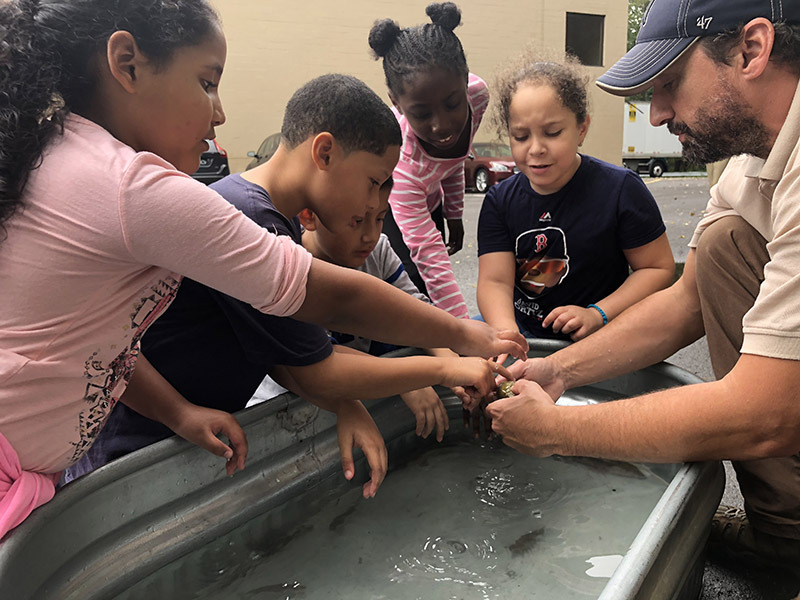 “Today, not only have the fish come back, but the Greenway is a showcase for teaching the next generation. 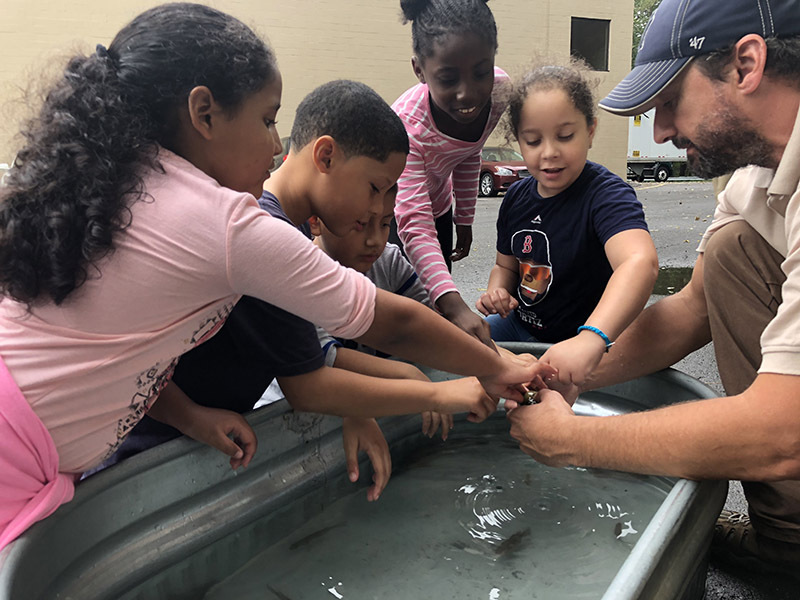 They’ll be the ones to take the story of the Still to the next level.” He credits much of the event’s growth and success to the involvement of the Housatonic Valley Association (HVA) which coordinates and secures partnerships for the event. 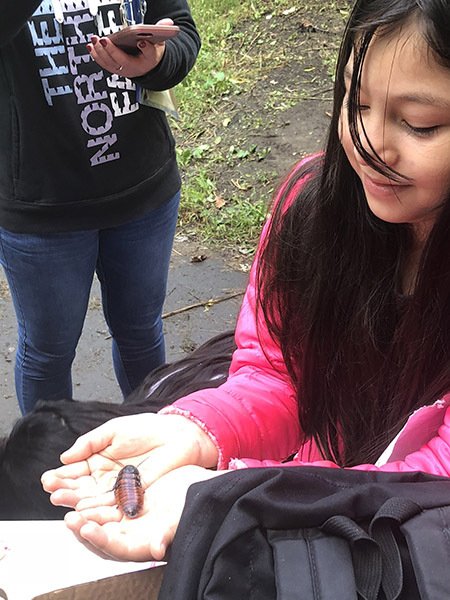 Western Connecticut State University students Sandra Zapata Ramirez and Brittany Schappach introduced students to “friendly” arthropods – beetles and roaches – encouraging kids to shed their fears and let the bugs crawl on them. 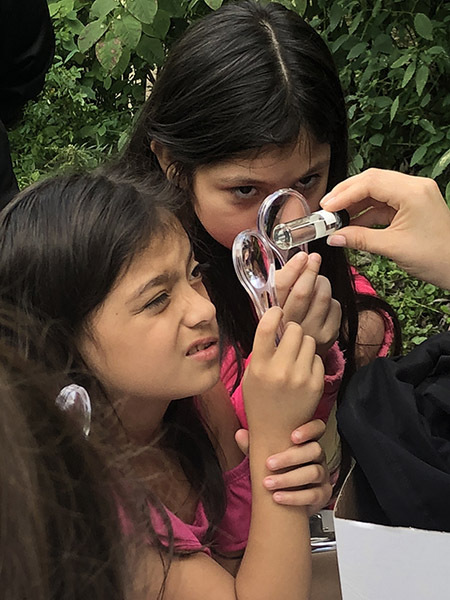 It was the perfect icebreaker for talking about another more serious arthropod- Deer Ticks – and how kids could identify them and prevent the spread of Lyme Disease. 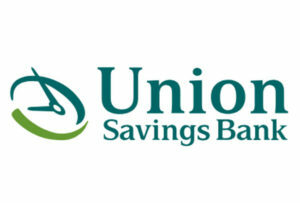 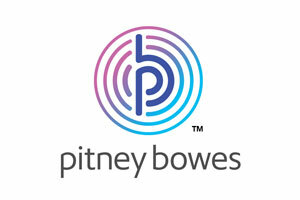 The event was possible again this year through the support of the Pitney Bowes Foundation and Union Savings Bank. 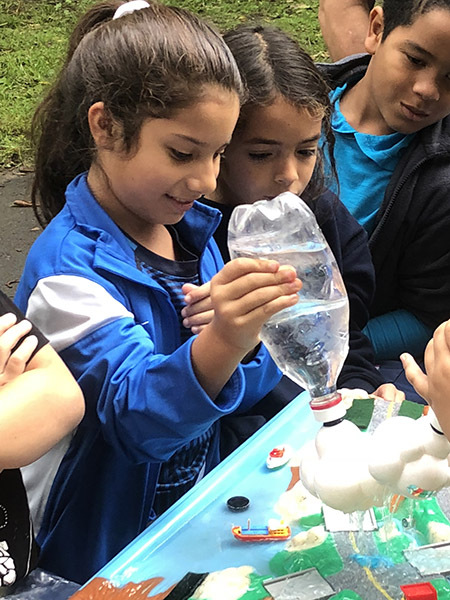 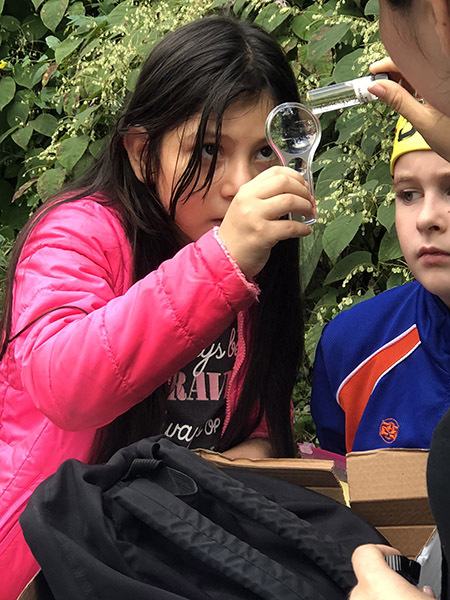 “We are so pleased to support this outstanding nature-based education program that engages students in STEM learning activities while helping them learn to be stewards of the environment,” said Kathleen Ryan Mufson, President of the Pitney Bowes Foundation.